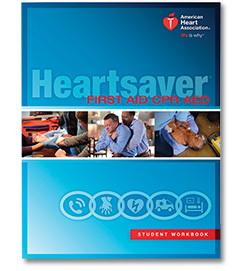 This course combines the curriculum of the Heartsaver First Aid course with the Heartsaver CPR AED course. Anyone who has a duty to respond to a First Aid emergency because of job responsibilities or regulatory requirements. Anyone who wants to learn First Aid and CPR. 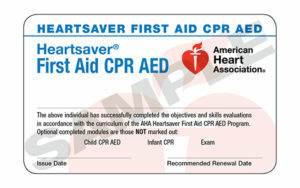 ** Students must pass a skills test in order to receive a Heartsaver First Aid CPR AED course completion card.